How can we leave out baby? Now everybody can match! 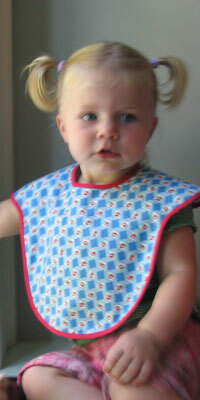 The Babee bib is 100% cotton to match Mom, grandma or big sister. In the past, women had their “special occasion” apron for entertaining. Now baby, (who is, of course, the most entertaining of them all) has one too. Fits little ones from 6 months to 2-1/2 years. 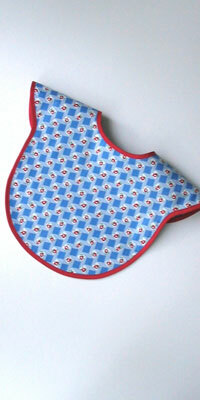 Babee Bib in Boxy Rose Fabric.